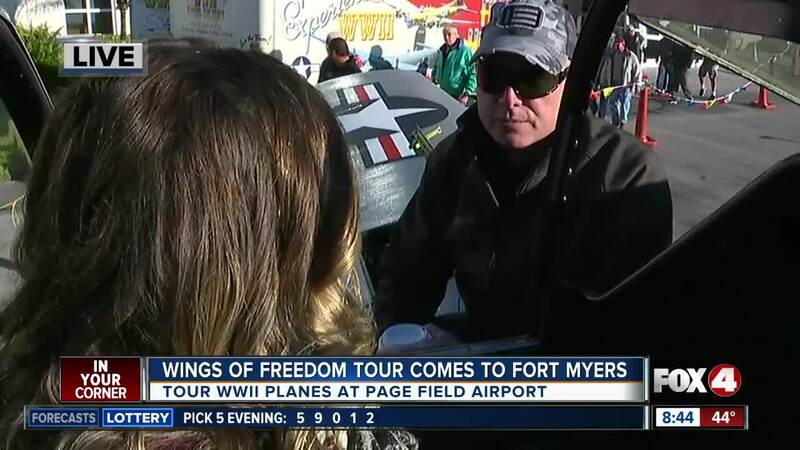 The Wings of Freedom Tour is here in Fort Myers at the Page Field airport! 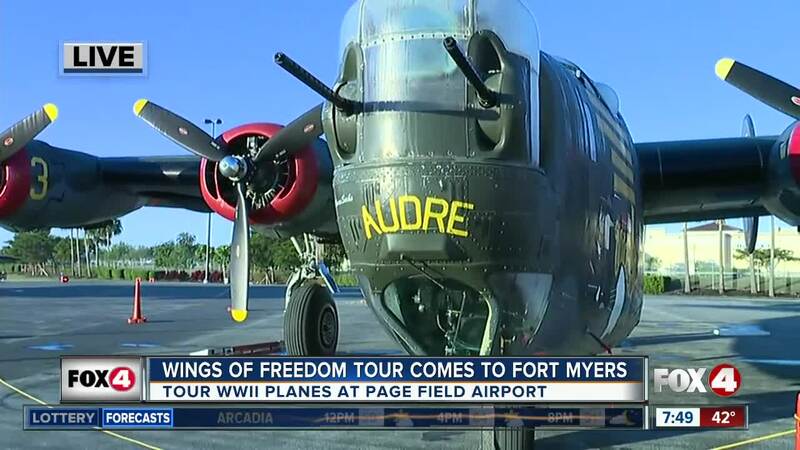 FORT MYERS, Fla. -- Walk through or take flight a plane from World War II during the Wings of Freedom Tour , here in Fort Myers at Page Field Airport until Thursday, January 31st. 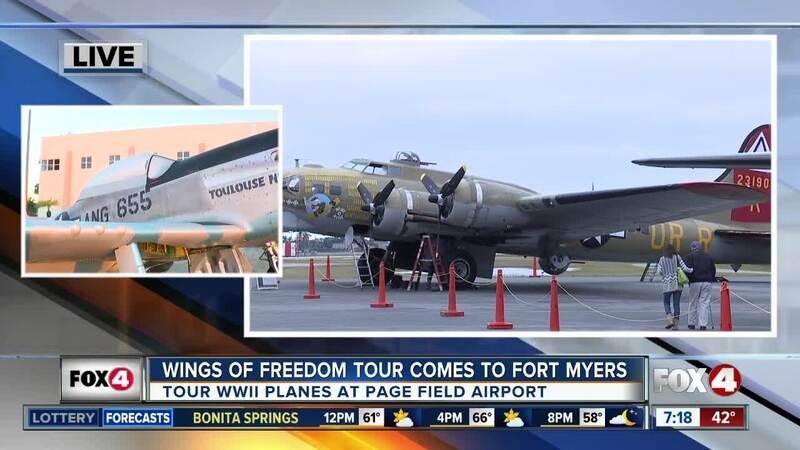 Collins Foundation brought its B-17 Flying Fortress heavy bomber, B-24 Liberator heavy bomber and P-51D Mustang fighter to the airport beginning on Monday. Walkthrough tours are available for a $15 donation for adults and $5 for children under 12. 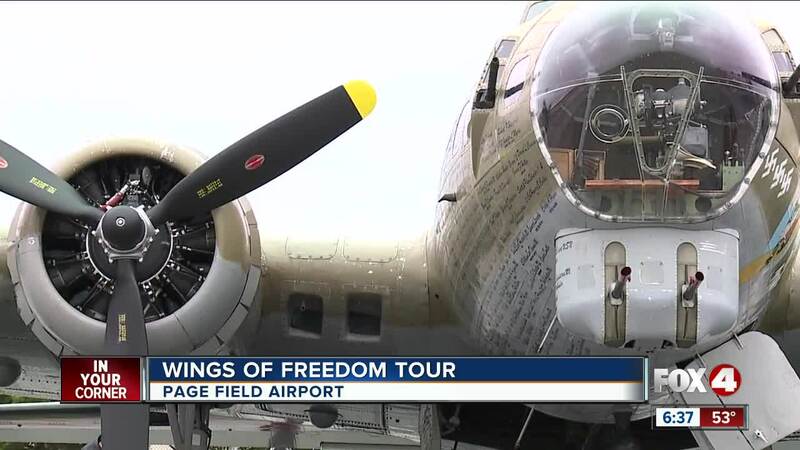 World War II veterans can tour the aircraft free of charge. The planes will be on display on Tuesday and Wednesday from 9 a.m. to 4:30 p.m. and on Thursday from 9 a.m. to 12 p.m. Flight experiences are available by reservation. Call 800-568-8924 to make a reservation or for more information.